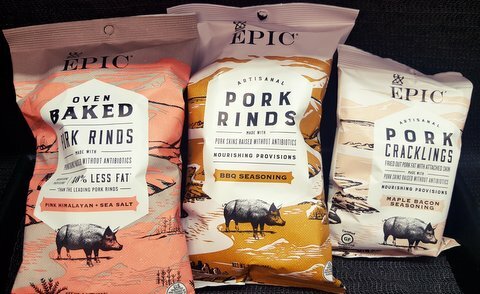 EPIC products are inspired by the simple yet powerful diets of our ancestors and consistent with our unique evolutionary biology. Throughout most of our history, humans have maintained active lifestyles and hunter-gatherer diets rich in high-quality meat, wholesome vegetables, fruits, nuts, and seeds. EPIC foods begin with a living animal. Animals should consume their natural diets and roam freely outdoors. All EPIC beef, venison, and lamb products are 100% grass-fed. EPIC continuously strives to convert ranchers to a pasture-based livestock model, and to create financial incentives for ranchers whose products are raised on pasture, with regenerative practices. Ranchers who operate within a holistic context are positioned to create incredibly positive impacts on their local ecosystems as well as the world at large. When managed appropriately, animals can enrich the earth by aerating the ground, fertilizing the soil, and positively shaping landscapes. When these biodynamic ranching practices are implemented, healthy lands create wonderful habitats for native and migratory animals, more effectively hold groundwater, build topsoil, and sequester carbon from the atmosphere. Through their partnership with The Savory Institute, EPIC is committed to global large-scale grassland restoration efforts. Thank you for voting for the animals, the land, and your own health by choosing EPIC! Win a handmade Topo Designs backpack from EPIC! Enter 3/13-4/2 at the Co-op.